ProudFolio premium WordPress theme is most definitely aimed at aspiring designers, developers, artists and photographers who’d like a framework template which incorporates both a great-looking portfolio and a feature-rich blog. The best thing about ProudFolio premium theme — you can manage all of your content from one place on the backend! Make sure to check out the live demo at the bottom of the post. 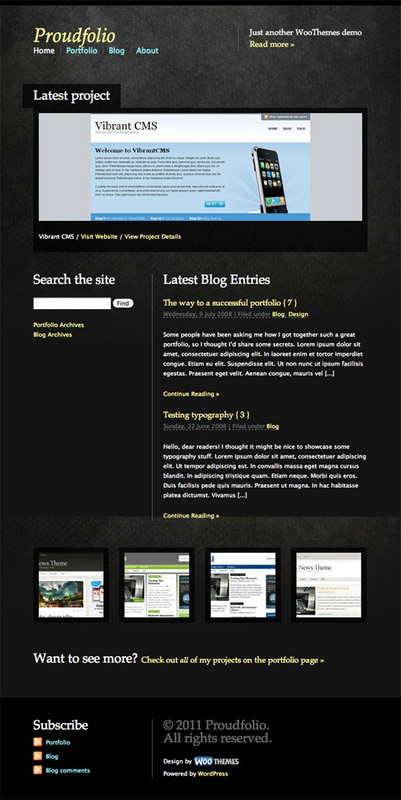 Come back and check out the showcase as we find more sites from around the web using ProudFolio.